Removing it from the enclosure worked! It looks like the dual gang was shorting out on the enclosure. I only had a pcb mount pot that didn’t fit, so modified it by clipping the legs and soldering wires to the holes adjacent to the pot, which must’ve left just enough solder height to touch the box. I’ll just tape it all up and should be good to go. 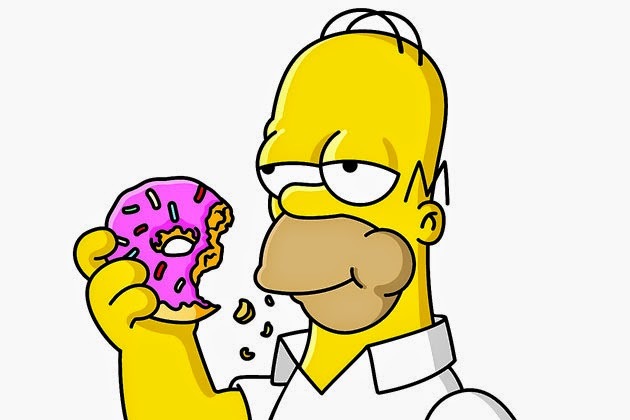 Thanks for the help guys! Maybe replace that cord too? It looks awfully thin. Is there a safety ground? A strain relief? Got this for free today - my partner saw it on a local 'free stuff' website. 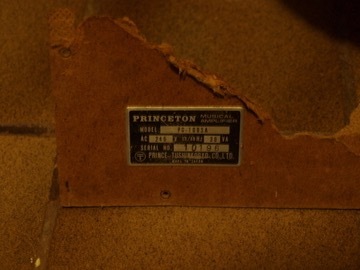 A 'Princeton', but not a Fender amp. 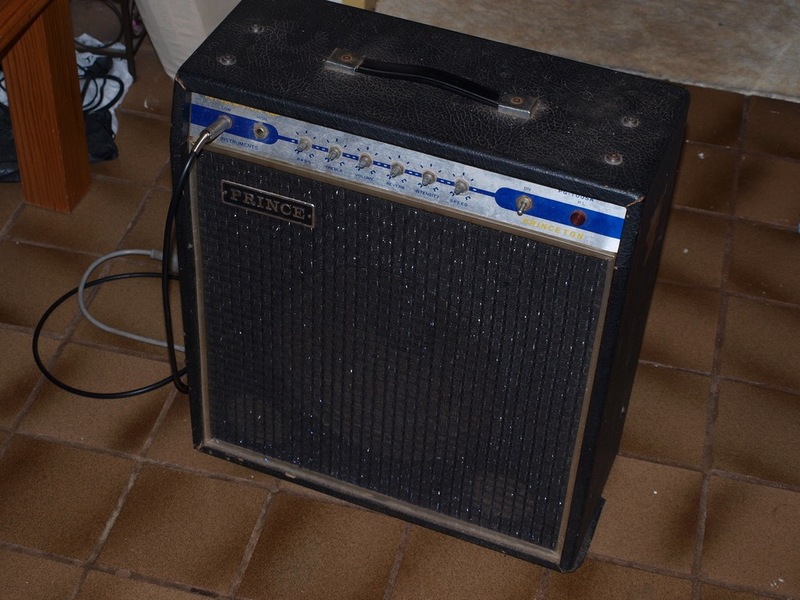 It's a Prince PG-100SA - solid state 30w amp. As far as I can tell, it would have been produced in the 1970s by the Prince Tsushinkogyo company. 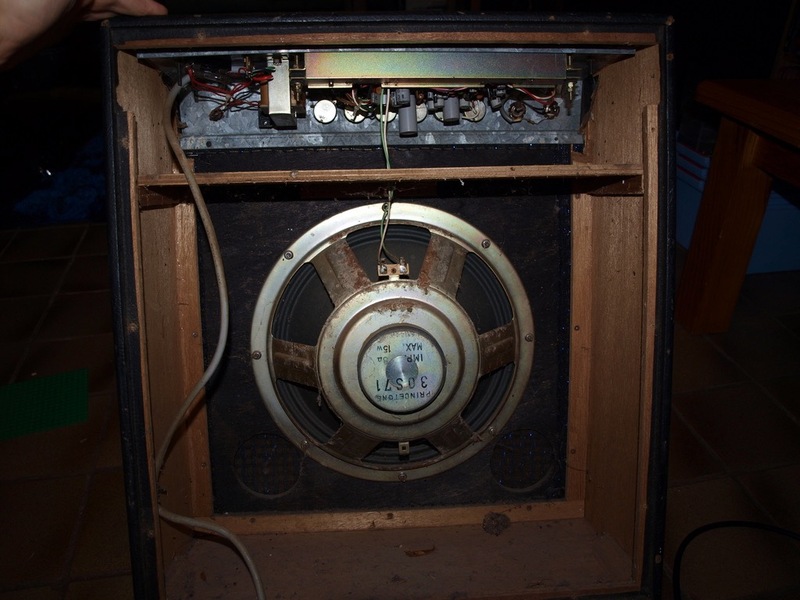 They renamed in 1980 to Arion, and stopped making amps in the mid 80s. It's got a bit of character, and could do with some cosmetic work, but it still fires up and worked fine. 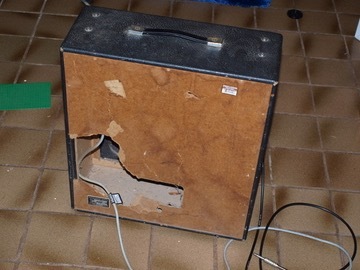 It has a small spring reverb built in, as well as tremolo. I'll need to replace the back panel, fix the carry handle, fix the power light, and maybe change the scratchy volume pot. One of the input jacks seems to have been glued in place at some point, and wobbles a fair bit, so I'll replace that too. I'll also have to find some knobs for it, once I work out what the original would have looked like. "POWER: ... negative-tip 9V to 15V power supply or 9V battery"
Please tell us how it works, as I have one I'm almost done with one. I still have a hard time believing any of your tiny builds are real -- they are that good. My one had repeats only when I shook it -non boxed ,nothing worked otherwise,I think pcbs with solder mask hide bad traces or damage the traces ,I removed a resistor that would show 0 then when the bypas switch was pressed its real value ,I realized it was part of the buffered bypass ,damaged the trace removing it.